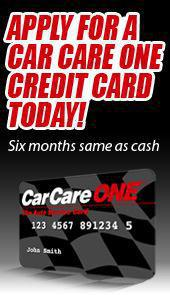 No INTEREST if paid within 6 months of purchases of $199 or more Made with your Car CAre One credit card. IF the promotional purchase is not paid in full within the 6 months agreed. What are the benefits for my customers of using Bill Me Later and promotional financing? Convenient and secure checkout - Bill Me Later is an instant and reusable credit line that your customers can use at checkout when they pay with their PayPal account. Since it's built into their PayPal account, it comes with all the security you expect from PayPal. Flexibility - Your customers choose when they want to pay, thanks to special Bill Me Later financing offers, such as no payments and customers have up to 25 days to pay for purchases under $99. Buying power - It's great for large purchases. Your customers can buy and enjoy now but have the ability to take 6 months to pay, if paid in full, without interest or payments.